Through the use of Hypnotherapy, EFT and NLP, we’ll help you to permanently change your relationship with food, enabling you to effortlessly achieve weight loss, stay in control and ultimately, become the size and shape you desire. And as part of the process, we will also help you to feel physically more relaxed, mentally calmer and, so much more confident within yourself. Very quickly you will notice that may other areas in your life improve too! 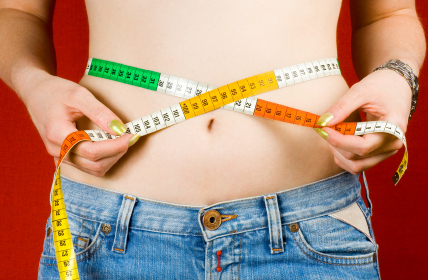 Want to achieve weight loss manchester based readers ? Please book an appointment with Karen Ashley Mind Power in Wilmslow ! Are you constantly going through the never-ending cycle of losing and gaining weight? The reason why so many people in the western world are overweight is because as a species we have learned to use food as a means to change our feelings. Indeed, most of our clients’ weight problems emanate from the fact that they eat when they are bored, lonely, miserable or any number of other emotional scenarios, NONE of which have anything to do with physical hunger. Often as a result of our conditioning from birth, many of us have a propensity to bury our feelings in food, but if we eat because of emotional hunger, our bodies will never feel satisfied because no amount of food is going to change the way we feel — indeed ultimately, it will only end up making us feel worse. At Mind Power we address the underlying reasons that cause the client to overeat. By doing this the client begins to use other strategies to deal with emotional issues creating mental, emotional and physical health. How can I break the pattern and change my relationship to food? For many clients overeating has also become a habit; larger portion sizes, a biscuit with a cup of coffee, a desert after dinner etc. And of course all our habits are stored in our unconscious minds so by accessing this using Advanced Hypnotherapy and combining it with EFT and NLP techniques, we help to change your relationship with food by retraining your unconscious mind, that part of the mind that holds all our food related beliefs, associations and habitual patterns of behaviour. At Mind Power we deal with all aspects of creating a healthy body and lifestyle and sessions may be used to increase the clients motivation to exercise, drink more water or increase metabolism; all important factors in achieving long term weight loss. So if you would like to benefit from weight loss hypnotherapy start today by begin taking back control of your life. We recognise that our clients all have different needs therefore on your first session we will create a programme together that gives you the support you need to lose weight permanently. For some with a small amount to lose, this may mean just two or three sessions to kick start you into a healthier lifestyle. For others this may be starting a programme that gets you up and running and then supports you monthly until you have achieved your goal. Whatever you need, at Mind Power we create a programme to suit YOU. If you are unsure of what you need or this all sounds a little too good to be true, why not have a chat with me over the phone and find out more. Ring Karen on 01625 419755.